Motion Analysis Toolbox for Excel is a powerful tool to extract a wide range of custom reports and analysis, as listed below. It also provides versatile formatting and the ability to easily add graphics, text, and sophisticated charts to your work sheets. MaxMATE provides the user with a pull down menu to quickly graph various parameters. Such parameters are listed below. 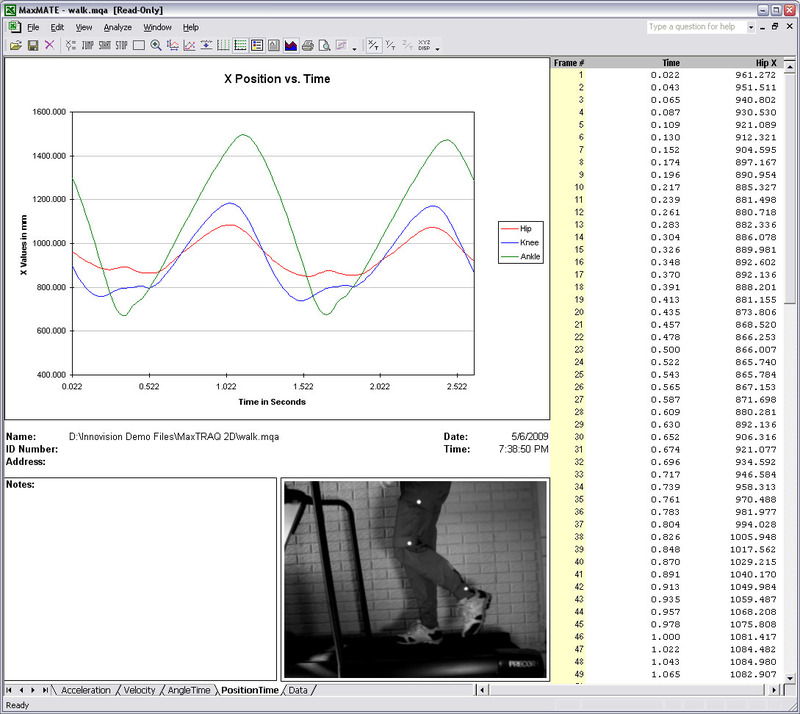 MaxMATE is a software package for analyzing 2D and 3D motion analysis files. Easy to use, it runs under MS Excel as an “Add-in”. By using Excel’s feature, the user can easily extend the functionality of MaxMATE as well as customizing the graphs. The advantage of this package is you can use it in a large variety of applications. Plus, the user can readily customize it for a “turn-key” system. MaxMATE can analyze many different types of files. It has a “built-in” importer that can read file formats such as Generic Text Files, Phantom PPT, Exported TEMA Files, C3D, etc.